I just started an herbal store with my wife and I have been in the trucking business for over ten years. Trucking is very slow, but the new store is doing very good in the first year. I just want to know which business is good for me, and which business I should invest more money and time in. Bawa, you and your spouse certainly reflect the positive career and entrepreneurial opportunities that can be created in our new economy! The psychic picture I am receiving of both your trucking and herbal store of not only one pot of gold but two! This picture is telling me over the next few years you will reap profits from both businesses. One important difference I’m seeing in the two gold pots, however, is that the pot of gold with the words “herbal store” is much larger, Bawa. This difference is signaling to me that you will reap much much more in future profits from your herbal store in the years ahead. A second picture of a mirror standing behind the herbal store pot of gold tells me some very specific things regarding how you will dramatically secure your future with your herbal store. For all our California Psychic readers as well as you, Bawa, considering the selling of any product, this image of a mirror beside the product you are selling is telling me that you will achieve monetary growth and security by expanding how and who you are selling your product to. You have a herbal store with customers… expand your business to the internet! All our California Psychics readers with any kind of product, whether it is sold in a store or sold door to door, will always want to think of marketing their products in two different market arenas like Bawa. Now this gets even more exciting for you, Bawa, for I’m being shown another mirror lining right up after mirror number one! What’s being revealed to me is that your opportunities will keep growing from you marketing on the internet. My understanding is that you are gaining much expertise with your herbal products, and that you can certainly expand your business by writing a blog or a book about herbs—yet another way to attract in more clients who will want to buy your products because you’re helping them. In our new economy all our readers seeking new ways to make new incomes will want to think of ways they can use their own unique knowledge and passions to help other people with products and guidance. The psychic guidance I am receiving for all our California Psychics clients is try to find your own pot of god by looking in the mirror and seeing how your own special knowledge and expertise can be turned into increasing your income and quality of life! Bawa, the last picture I am being shown is of you and your wife strolling hand in hand by a beautiful park, and I see off to the side a rainbow with one pot of gold at the end of the rainbow. My understanding is that it is five years from now and you have already left your trucking business, and your and your wife are enjoying the benefits and profits of working together as a team in your herbal business. I am guided to tell all of your California Psychics’ clients that this too, is a reminder to think of who you can partner with in your business to double your expertise and business expansion! A strong message from my guides to tell all of you that there is someone looking for you to start a new financial opportunity, and just ask your guides to help you open the doors to meet the person looking to join with you and double your success! My best wishes to you and your wife, Bawa, and all our clients looking to create new pots of gold and new business partnerships! A gentle reminder to all of us who may not believe there are really money guides ready and willing to help us, (and I was one of the disbelievers in the past as a business woman!) to give your money guides a chance. We are always helped and guided through all monetary issues, whether we believe or not! Do you have a question for Money Matters? Submit your question to Money Matters now. Are you plunging into a new career path? An intuitive career coach can give you essential advice to make your new endeavor a success! Call 1.800.573.4830 or choose your psychic career advisor now. Conveys details that unveil a greater plan. 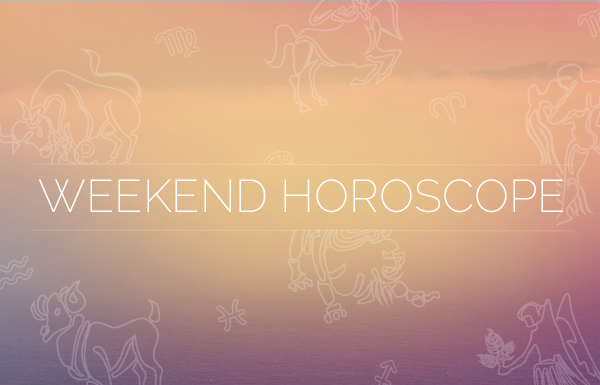 Your Weekend Horoscope: You Rebel, You! i worked for 5 years with a printing firm and got nothing on the day i resigned which tells me there is no future working for someone, i have then registered my company and running it side by side, upon my resignation i now give full attention to my company but got no support on capital base. My bankers told me they can offer a loan of about 20million Ghanaian cedis which is too less and the conditions attached not too good for a newly established business. as i speak now, i have gotten myself a new appointment with a new company. i took this decision so that i will save enough this time and then start all over again. I worked for a great company for almost seven years and it closed June 30.
all of the details, AND I got a great job for an excellent company. I am wondering which to focus on. I am doing both right now and its a lot! From my 83years old mother, who run a furniture business for 55 years, to my understanding, she did very well. Two years ago, when I started the business, all my 9 other siblings, who have each of their own businesses, also, already subdivided my parents properties & interest among themselves in my absence, have expressed their frustration & sadness since I arrived here from Los Angeles, which on that time California was hit by economic crisis. Selfishness lead each one of them to agenda’s after agendas to bankrupt my business by all means, gossip me in all means, working behind the scene & surfaces, to lead me to shame, to kick me out of the country. They have taken my aging mother, now 85, away from her house where I live since I arrived here. I can go on like this, all I could do is assume I’m still in the US working independently and solely running my own life, except here I’m at enemy’s camp, still, I have my hopes, desire to start into different kind of business, also with the hope my siblings will not touch me…thank you for reading my dilemma. Khloe Kardashian Encouraging Cheating on Dancing With the Stars?